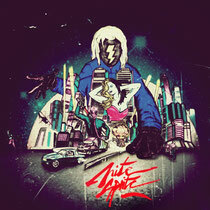 Norway’s Nite Sprite unleashes four slices of cinematic future electro backed with remixes from Mitch Murder & Totem. Eagles in Drag Records is a new label from Scandinavian imprint CCAP, launched with a view to fusing indie electronica and film music to create an eclectic output. For their debut release they turn to the mysterious Nite Sprite, who describes his sound as ‘cinematic electro’, a fitting tag for music that comes on like the love child of Giorgio Moroder & John Carpenter. 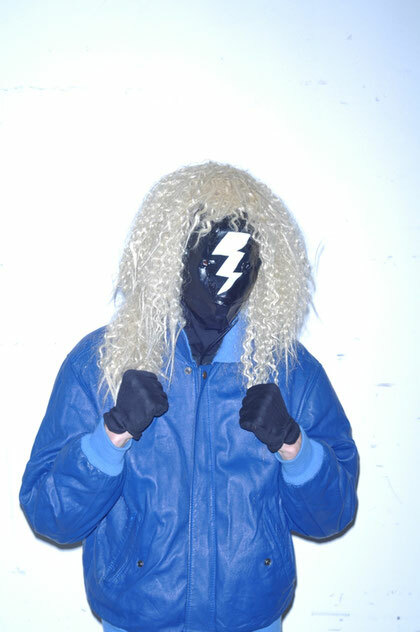 Very little information is available about Nite Sprite, he performs masked and lets his energy-fuelled music and visual show do the talking for him. His self-titled EP offers up four ‘scenes’, each journeying into different aspects of his musical personality, showing aspects of himself through his journey through ‘80s influenced soundscape, filmic backdrops and electro fuelled workouts. Live instrumentation and mutated electronic samples rub up against each other and are sliced and melded to create something unique. The original tracks are accompanied by two remixes, the first comes courtesy of Swedish producer Mitch Murder who takes ‘Scene 1’ and reworks it into a melodic version straight from 1984, whilst Norwegian producer Totem delivers an intense and techy broken beat version that provides a decent alternative. Out 25th April. Checked out his teaser on soundcloud! fakkin brilliant!!!!!!111! !